Sock Shop – Offering a massive range of socks, tights, underwear and accessories. The Sock Shop team are total sock nerds, with expert knowledge that has been developed over 30 years, we are the specialist in socks and tights and we offer a humongous online sock range! With over 50 great brands available including Pringle, Heat Holders, Falke, Nike, Burlington and many more – we stock the very best brands around. Kiniki is a fashion and lifestyle brand famous for contemporary mens underwear and mens & womens patented Tan Through swimwear. We have been designing underwear & swimwear for men and women for over 40 years and our exclusive Tan Through swimwear put us on the map for it's unique ability of allowing you to achieve an all over sun tan and minimise tan lines through the swiwmear fabric. Today we have evolved from the early beginnings of mens underwear & womens swimwear to offer the largest collection of hand made mens underwear in the UK. 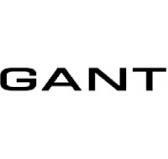 Established in 1949, GANT is a lifestyle brand with an American Sportswear Heritage. We offer a range of products across our mainline range as well as GANT Rugger and GANT by Michael Bastian – including mens polo shirts, mens chinos, mens blazers and mens jeans. MyTights.com offers a huge range of top quality hosiery – stockings, socks, everyday sheers and opaques to the wild and wonderful – with styles, shapes, and sizes to fit any occasion, outfit, or figure. As the nation’s number one men’s suit specialist, Moss Bros. offers a wide range of formalwear for every special occasion. With a vast range of suits and accessories we’ve got a suit for any type of function – Wedding, Royal Ascot, Black Tie, the list goes on. You can Hire for yourself or set up a Group Hire on our easy to use website. Bellfield was first established in 2010 as a menswear only brand; offering a clean style for the modern day man. In 2012 a ladieswear line was introduced; our in house design team created a collection that pulled the Bellfield signature style across both markets. Since then the company has grown from strength to strength with major stockists choosing to showcase our brand such as ASOS, River Island and Topman. Recently we were shortlisted for Young Fashion Brand of the Year at both the Drapers Independent Awards and the Drapers Awards. This is an amazing achievement given that our brand is relatively new to the market, we have achieved so much in such a short period of time. Just to put this in perspective there are established brands who have been in the industry for over 20 years and never been nominated! In 2013 we launched BellfieldClothing.com offering for the first time the entire Bellfield collection in one place. We are extremely dedicated to our customers and would like the opportunity to work with professional advertisers who encompass our brand ideals, and are committed to transcending our message. We will be offering competitive commission rates which will only increase the more you work with us! Our cookie length is set to 30 days and our validation period is 28 days. Transactions that will be coming in through unauthorised codes will be declined. For further information please do not hesitate to contact us, we would love to hear from you! Budget Batteries is based in Bournemouth, Dorset (UK) and offers top quality batteries to both consumers and industry at extremely competitive prices. The friendliest online battery shop in the UK – extensive range with excellent prices. We supply retail, trade and industry. Timeless men’s fashion is our passion. We design everything in-house to ensure that our products have a unique appeal. All our products are available for purchase on our website. Charles Wilson depicts our philosophy. We are a young & humble yet capable fashion label based in Huddersfield offering high end British menswear for an unbelievably low end price. We plan to continue adding new, desirable and exciting products to the Charles Wilson range. We hope to build a lifelong relationship centred on trust, communication and care with our customers who rely on Charles Wilson to provide wardrobe staples all year round. 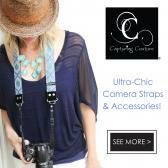 Capturing Couture supplies Fashion, Camera, Guitar Straps, Bags, Accessories, Pet Collars and Leashes.